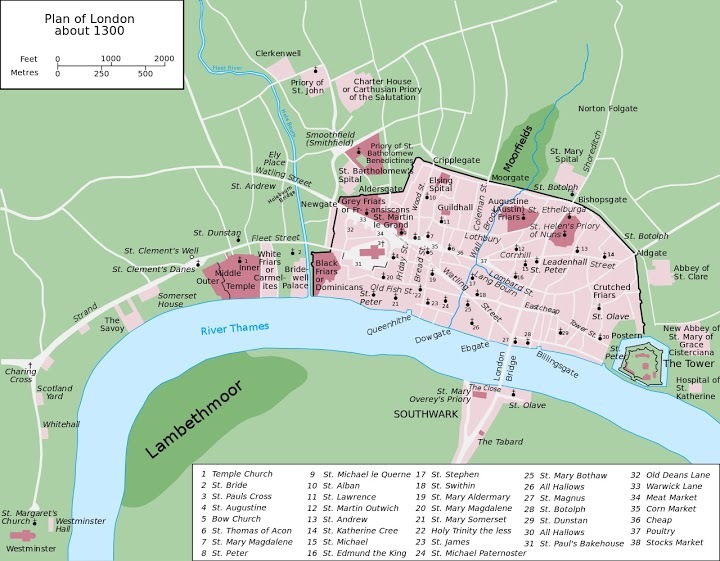 The perimeter of the London Wall is indicated by the black border, encircling the City of London. William R. Shepherd. Historical atlas. 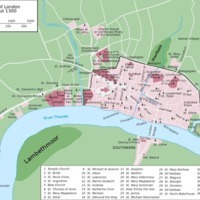 (1911) Page 75, “Map of the London Wall, in c. 1300,” Medieval London, accessed April 22, 2019, http://medievallondon.ace.fordham.edu/items/show/150.